Kyle Grillot - kgrillot@shawmedia.com Players fight for a loose ball including Cary-Grove juniors Tyler Szydlo (left) and Jason Gregoire (right) and Prairie Ridge seniors Ryan Gilbert (25) and Michael Bradshaw (behind) during the third quarter of the boys basketball Friday in Cary. 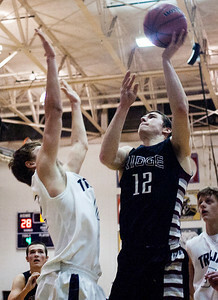 Cary-Grove beat Prairie Ridge, 47-38. 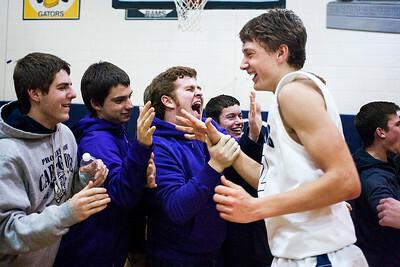 Kyle Grillot - kgrillot@shawmedia.com Cary-Grove junior Jason Gregoire is greeted by fans after the final play of the fourth quarter of the boys basketball Friday in Cary. 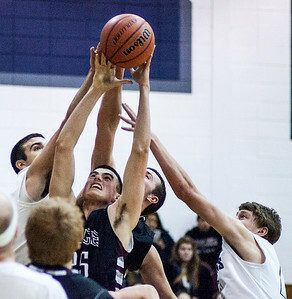 Cary-Grove beat Prairie Ridge, 47-38. 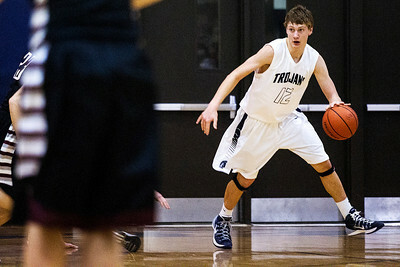 Kyle Grillot - kgrillot@shawmedia.com Cary-Grove junior Jason Gregoire dribbles the ball towards the net during the fourth quarter of the boys basketball Friday in Cary. 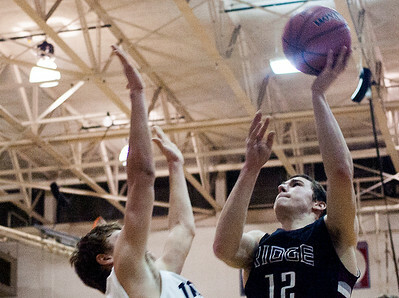 Cary-Grove beat Prairie Ridge, 47-38. Kyle Grillot - kgrillot@shawmedia.com Prairie Ridge senior Steven Ticknor puts up a shot under pressure from Cary-Grove junior Jason Gregoire during the third quarter of the boys basketball Friday in Cary. 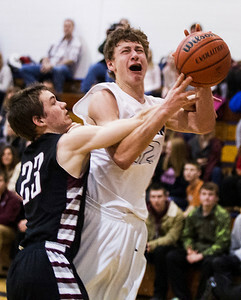 Cary-Grove beat Prairie Ridge, 47-38. Kyle Grillot - kgrillot@shawmedia.com Cary-Grove junior Jason Gregoire is fouled by Prairie Grove senior Max Ayers as her drives towards the net during the fourth quarter of the boys basketball Friday in Cary. Cary-Grove beat Prairie Ridge, 47-38. 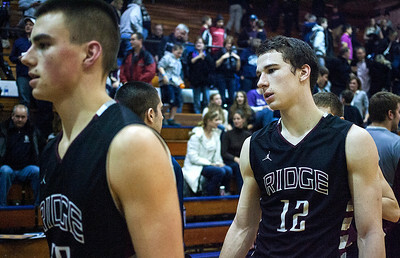 Kyle Grillot - kgrillot@shawmedia.com Prairie Ridge seniors Steven Ticknor (right) and Ryan Gilbert shake hands with the Cary-Grove Team after the boys basketball Friday in Cary. Cary-Grove beat Prairie Ridge, 47-38. Kyle Grillot - kgrillot@shawmedia.com Cary-Grove juniors Tyler Szydlo and Prairie Ridge junior Jack Berg fight for a lose ball during the third quarter of the boys basketball Friday in Cary. Cary-Grove beat Prairie Ridge, 47-38. 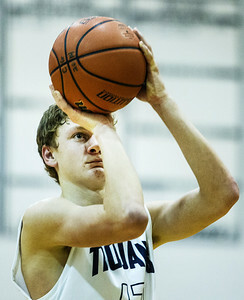 Kyle Grillot - kgrillot@shawmedia.com Cary-Grove junior Jason Gregoire takes a free throw late in the fourth quarter of the boys basketball Friday in Cary. Cary-Grove beat Prairie Ridge, 47-38. Cary-Grove junior Jason Gregoire is fouled by Prairie Grove senior Max Ayers as her drives towards the net during the fourth quarter of the boys basketball Friday in Cary. 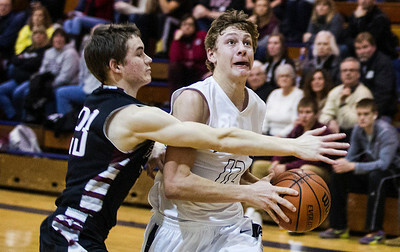 Cary-Grove beat Prairie Ridge, 47-38.